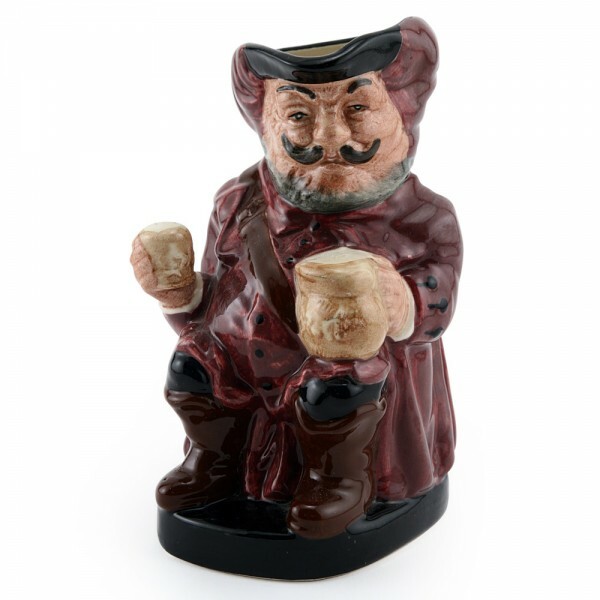 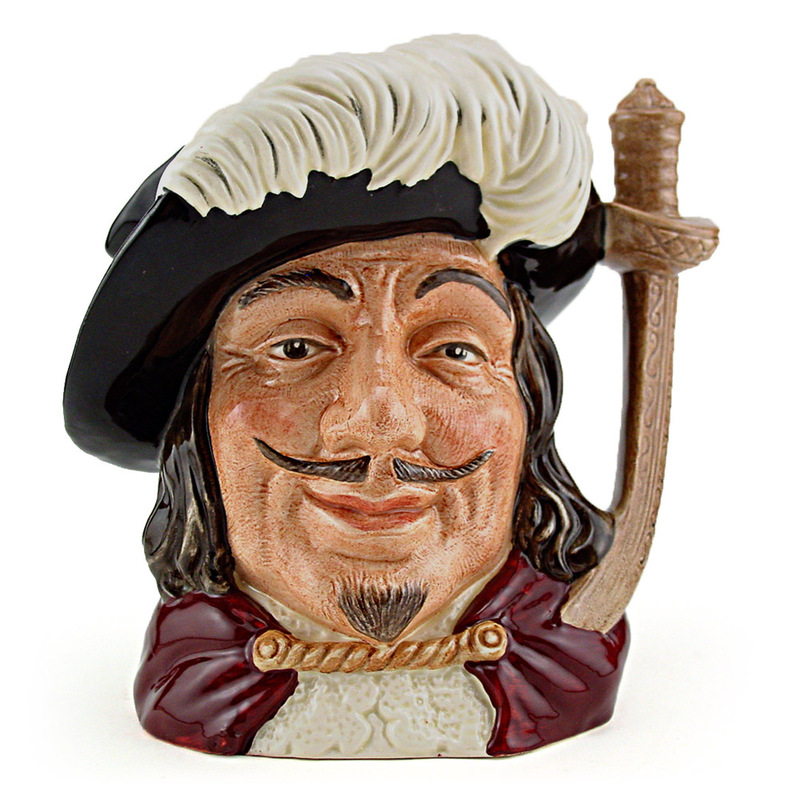 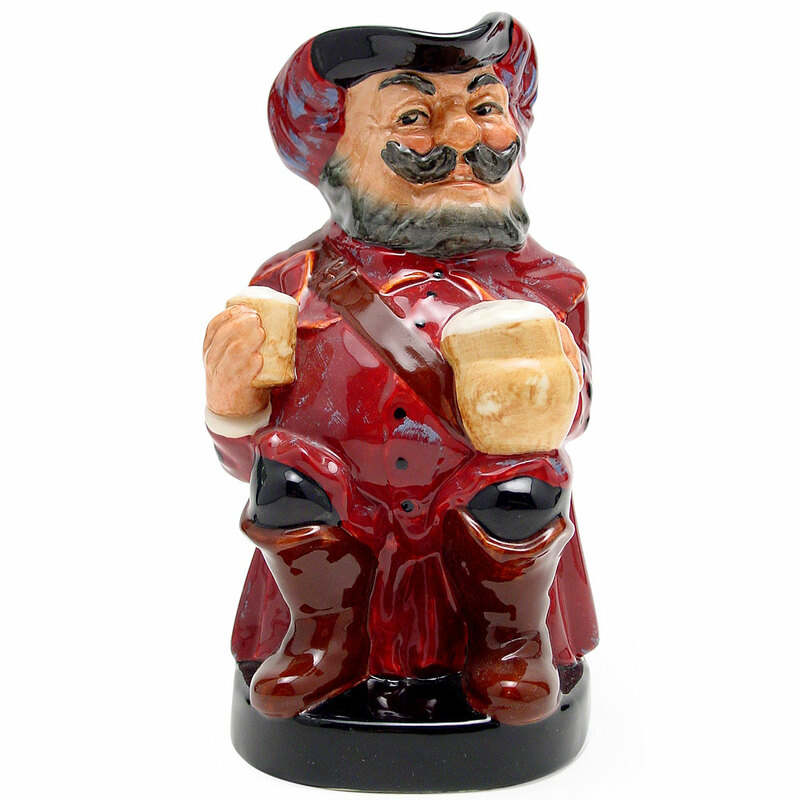 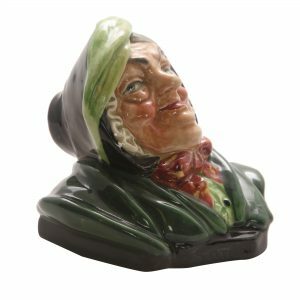 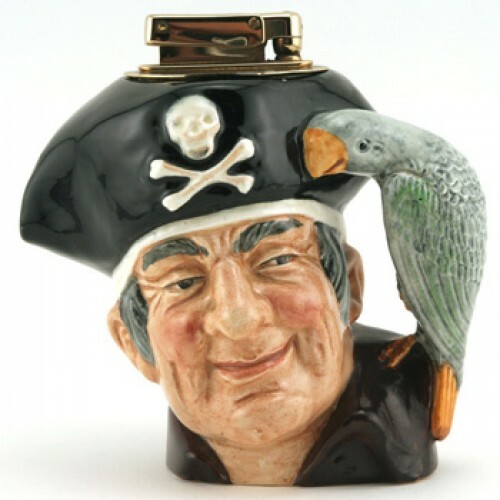 Royal Doulton Toby Jug, Falstaff Small D6063 Mug Away (burgundy clothes; black hat with burgundy feathers). 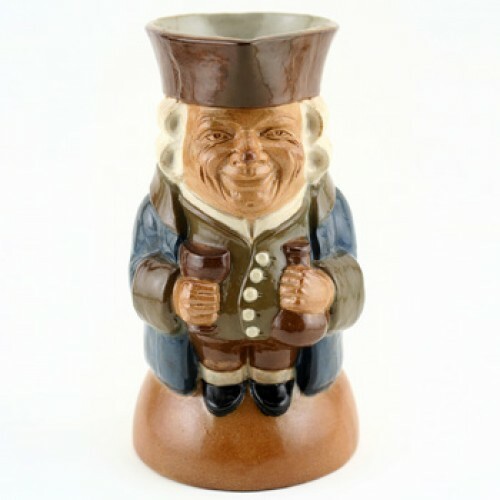 Designed by Charles Noke, issued: unknown – 1991.Size: 5.5”H (small). 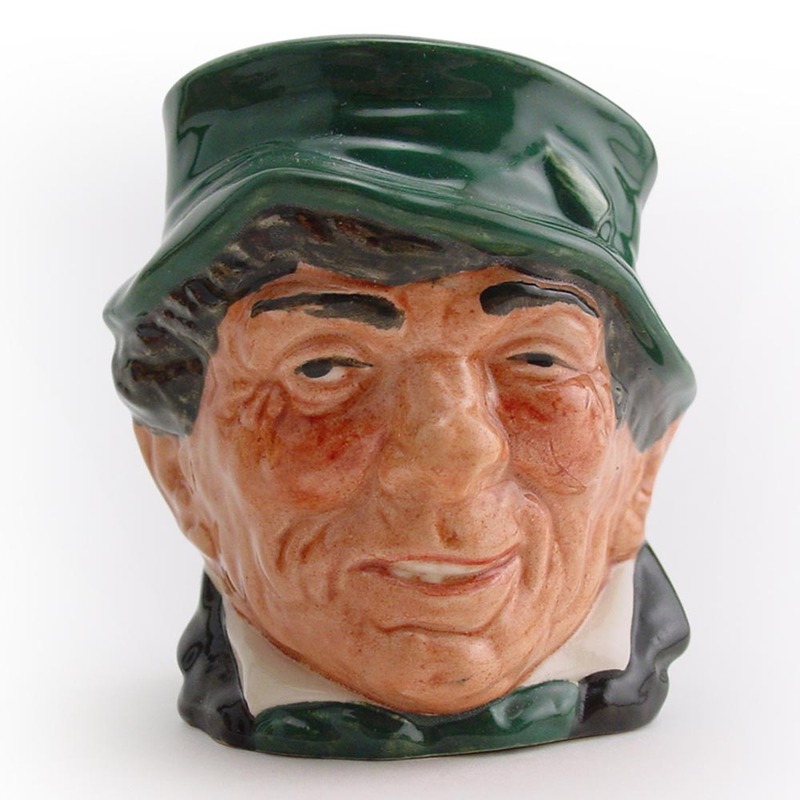 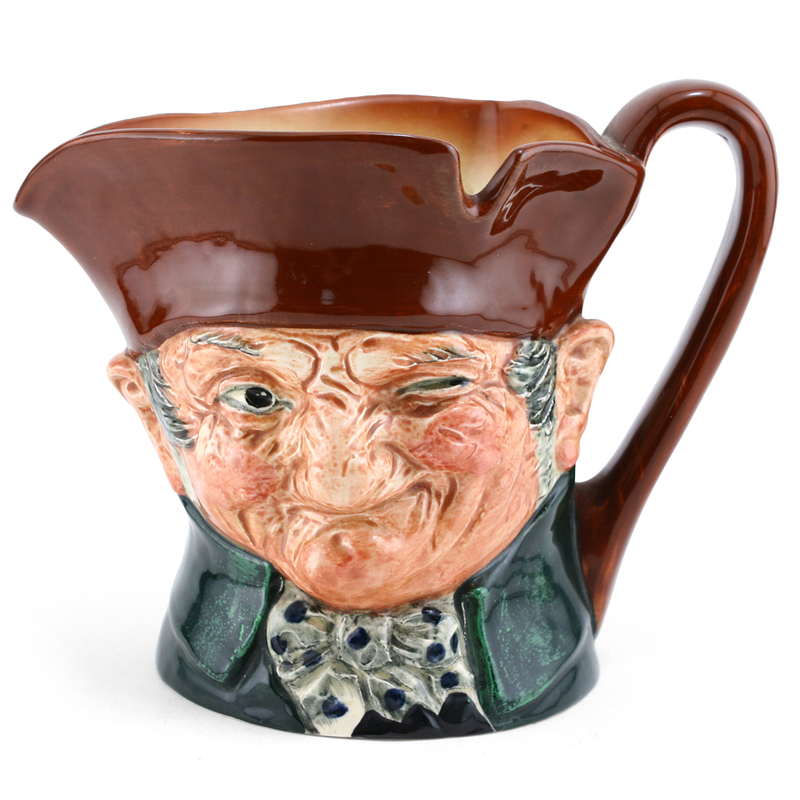 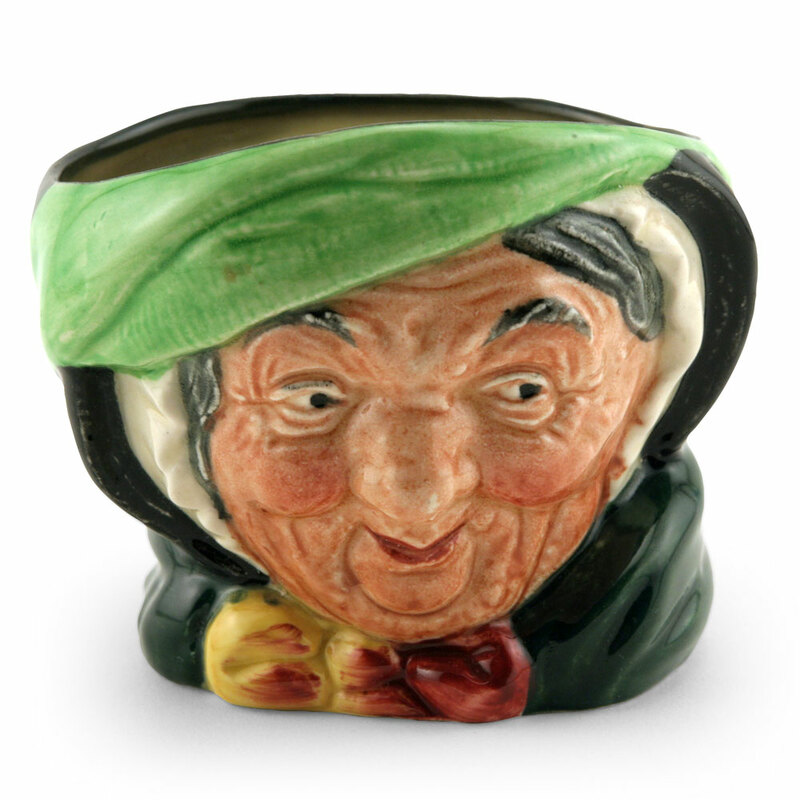 Some of the most popular stoneware toby jugs were designed by Harry Simeon. 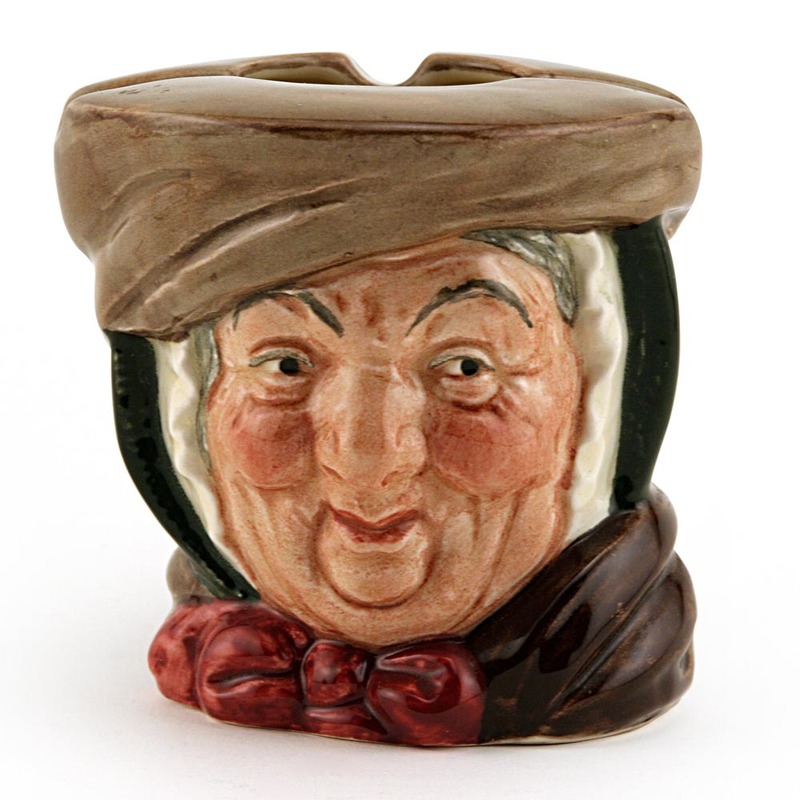 In 1894, Harry Simeon won a scholarship to The Royal College of Art at South Kensington. 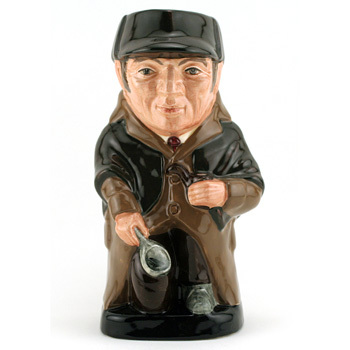 He joined Doulton at Lambeth in 1896 and began working on stoneware bibelots and garden sculptures. 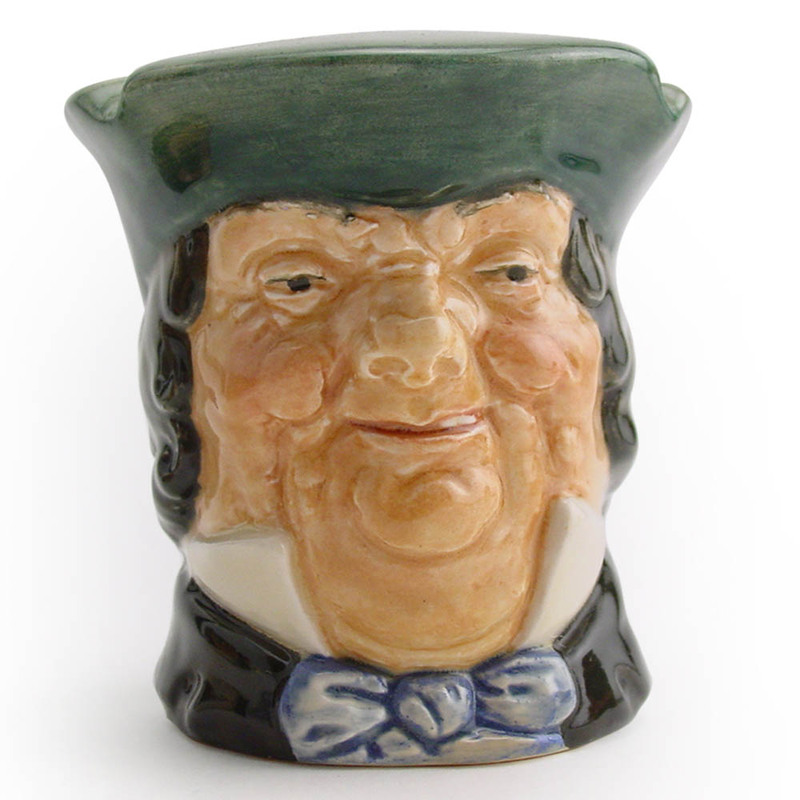 By 1924, Harry Simeon was modeling a range of slip cast tobies based on the traditional toby jug style but with his own fresh, original interpretation. 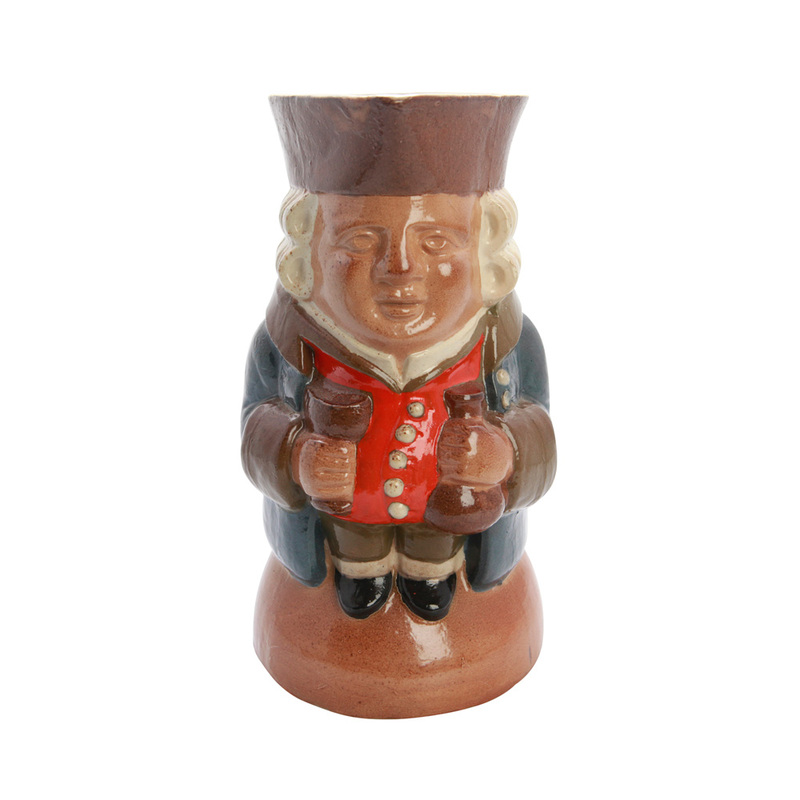 This new range became an instant success and today pieces modeled by Harry Simeon are sought after by collectors from around the world.